If you are looking for a last minute roll recipe for Thanksgiving...look no further! These bad boys are DELICIOUS! So soft and sweet! I made them a few nights ago, and I will shamelessly admit that I ate 3 or 4 right then and there...I lost count because I was inhaling them so fast! The picture below is from one of my favorite food blogs, The Girl Who Ate Everything, she has the recipe posted HERE. 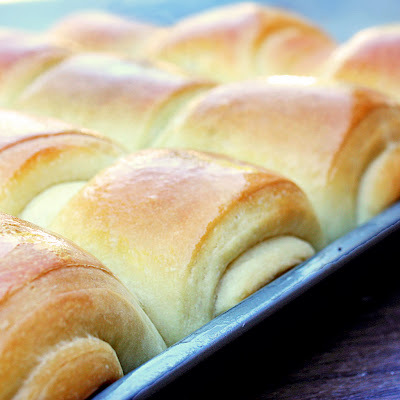 If you already have your Thanksgiving rolls taken care of, bookmark this one, you wont regret it! Whip softened butter until light and fluffy (this is the trick). Add vanilla and honey gradually. Beat for 20 minutes (I just beat til light and fluffy) . Makes 1 cup.